John and I have been eating in this diner for almost 2 years now. 🙂 But I have never blogged about it yet because I couldn’t get a good picture, with the busy crowd and all. Yeah, people line up for their food. That’s how good it is! So yesterday, I just wore the camera and started firing. I fell inline, just like everyone did. And waited for my turn. Free soup comes with your order. 🙂 Yummy too! Guess how much these cost? Our order consisted of 3 viands, 2 rice and 2 canned sprite. For Php214.00 pesos. That’s what? $ 4 dollars or so? Geee, that’s why I love this place! 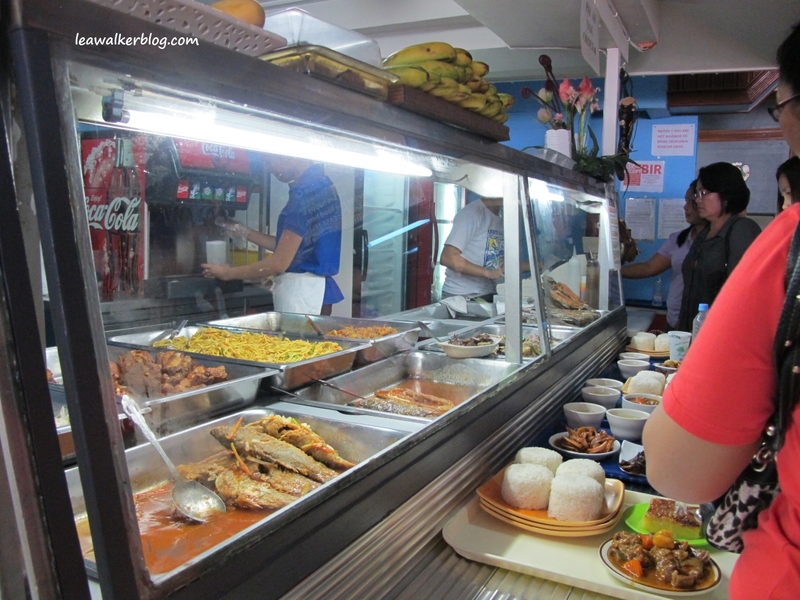 I get to eat a delicious and authentic Filipino food at a very low price. 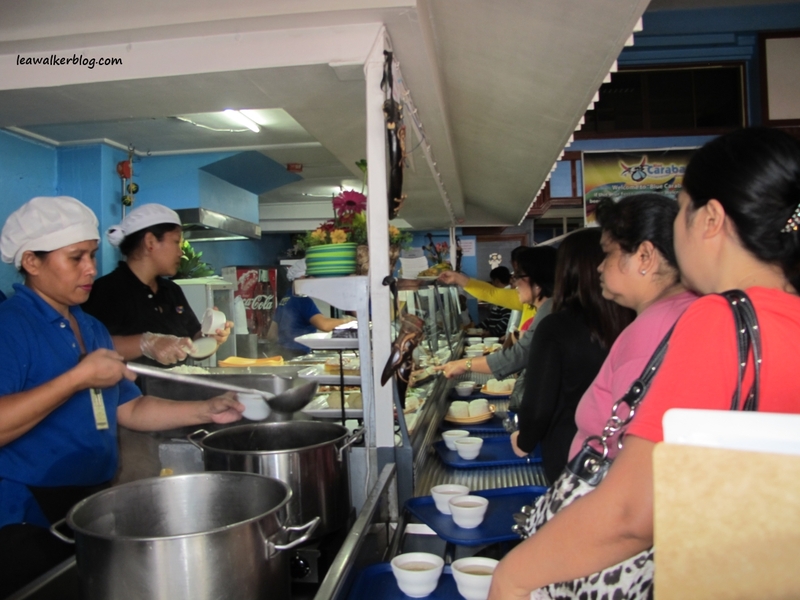 They offer several kinds of vegetable dishes – ampalaya with egg, another favorite – pinakbet, salad na langka, ginisa na batong or baguio beans. I tried all those and was never disappointed. Seafood dishes consist of : sweet and sour lapu lapu, grilled panga or tuna belly, fried tilapia or boneless bangus, adobong pusit, fresh kinilaw na malasugue and lato. They have chicken dishes as well. See the photo above? That’s chicken liver with egg. Their chicken curry tastes good also. 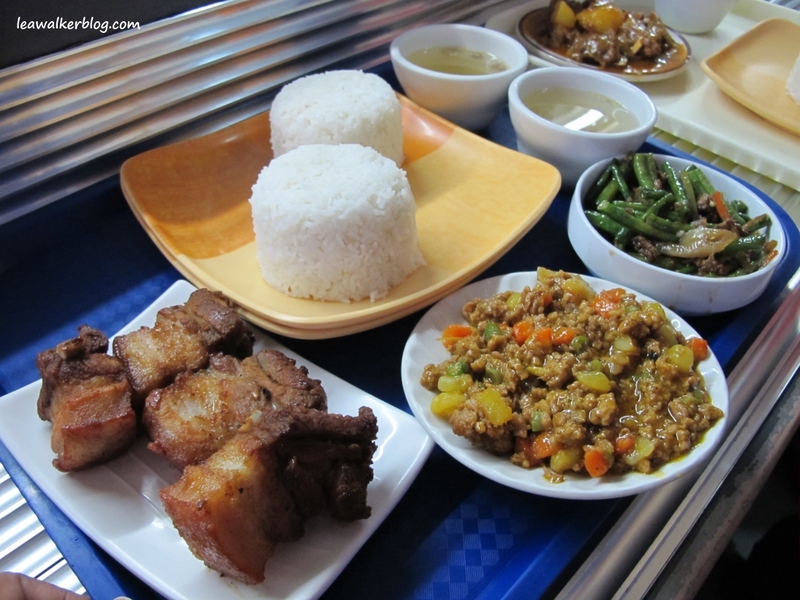 Your options for pork dishes include : pork humba (sinful) haha… pork adobo, pork binagoongan (you should try this!) , giniling and lechon kawali. Beef dishes consist of : Nilagang baka, spicy beef soup, beef steak, etc. For those who like goat meat, you might like Kalderetang Kambing. I’ve never tried it but it looks good. hehe..
Ok, so why Blue Carabao? 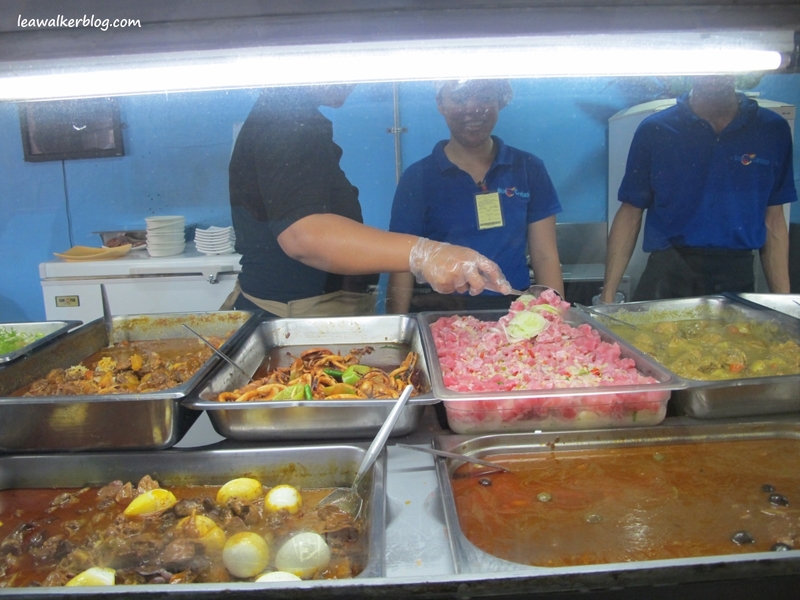 When Sherry’s father started the business, his specialty was that of carabao meat. They got famous for it. When he retired, Sherry and her husband, Francis (a Canadian citizen) bought the business and continued the legacy of providing for delicious but affordable food. What I like about this diner is that it is clean. And the staff are trained to serve the clients well. If you’re expecting a high end place with aircon, go somewhere else. 🙂 But if that doesn’t matter to you, I tell you.. You will love it as much as I do. Other than John, there are many foreigners that visit and eat. Most of those eventually become friends of Francis. So John jokes that they have a “united nations” meeting there sometimes. ha ha.. If you’re shopping at the Chinese district, then go there for lunch. You won’t regret it! 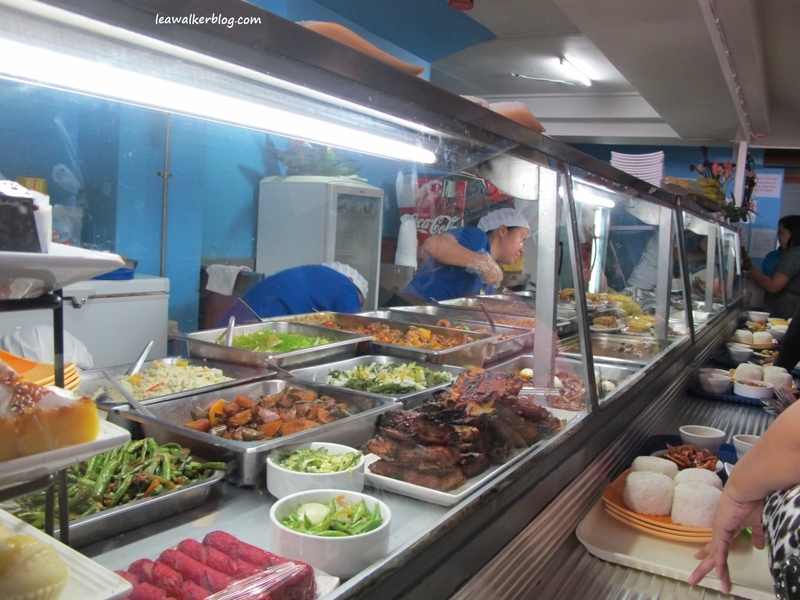 This entry was posted in Davao, davao city, restaurants in davao and tagged Blue Carabao, cheap restaurants in Davao City, delicious food in Davao, dining in Davao City. Bookmark the permalink. Hi Lea and John,thanx so much for your review of ‘The Blue Carabao Diner’,it means so much to us. Blue Carabao was created to make good jobs for Filipinos and we pride ourselves on being a non-contractual work place,that’s right,all our staff,thirteen right now,have full time employment with benefits and we are among the few companies paying 13th month pay,monthly. Our staff work an eight hour work day. 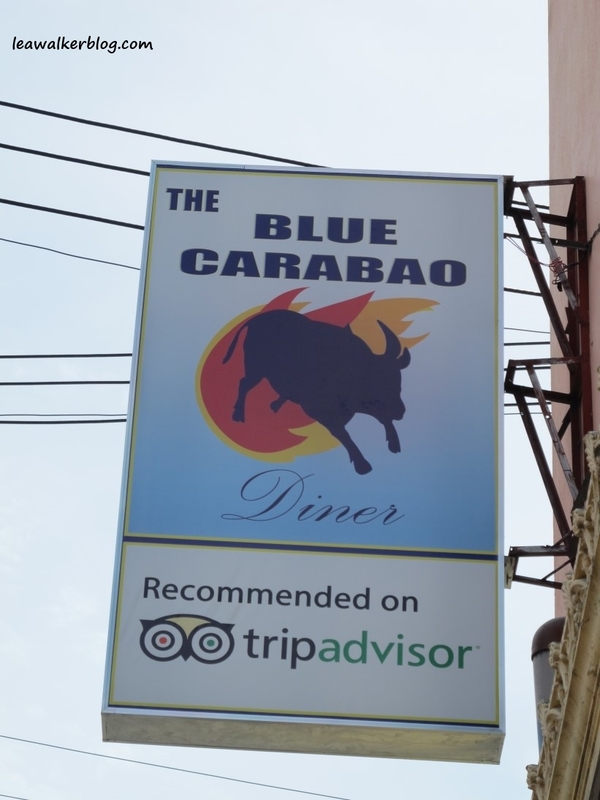 Blue Carabao challenges all restaurants in Davao to treat their employee’s will dignity and respect by paying them a decent wage and providing a safe work environment. Next time you go to a restaurant,become a conscientious consumer and ask the staff what their wage and hours of duty are.You maybe shocked. 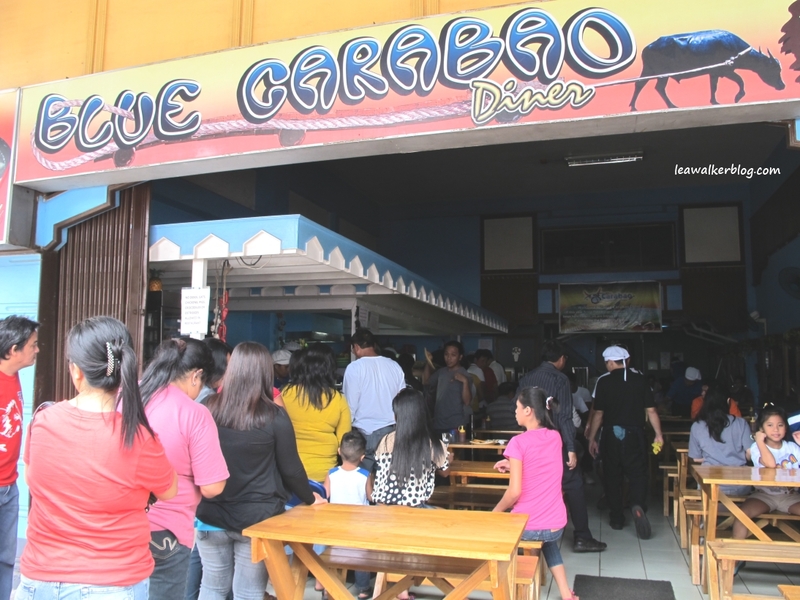 Many people ask us to put up more locations of the Blue Carabao Diner.We have request from all over the Philippines for branches of the Blue Carabao, but we decided against it as we feel that quality control would be a major issue,so we will just stick with one location only and make it the best that we can.You will only be able to “taste the power of the Carabao” in Davao City. So,thanx John and Lea for your support of the Blue Carabao Diner,your peso does more that just pay for food,it empowers us to provide good jobs for great people. PS Customers are welcome to see our kitchen anytime. Knowing this, I have more reasons to be back more often. We eat out a lot due to the nature of our work. That’s why we are so happy that we found your diner! I’m supposed to meet with friends who read this post through my facebook page. And visit your place next week. They too want to try your delicious food. I just hope that you would consider putting up a branch in Samal Island. We have a commercial lot that’s perfect for it. Maybe in the future? Yeah, there are a lot of establishments here that don’t pay the right wages. I’m glad that yours does. I am happy for your employees. Thanks and more power to Blue Carabao! You’re welcome Samantha. Thank you for dropping by my blog!